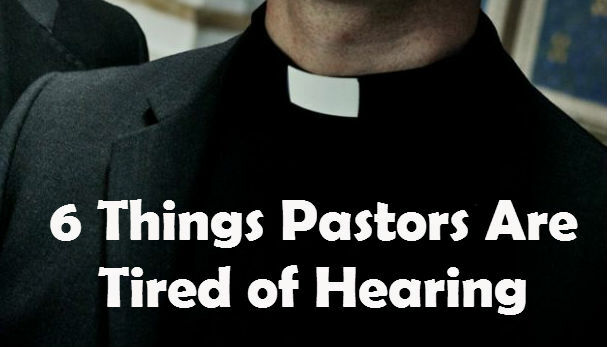 You may not know this, but if you go to a church, or are “shopping around” for one that fits you there are some things that you may not know about what the pastor is actually thinking. Pastors put on a great front and try to paint on a fake smile, but deep down inside we are cringing at what you just said to us. Don’t get me wrong, we know your heart and know you have the best intentions behind what you are saying to us, but quite frankly, sometimes we also have a bad day and want to throw a tantrum. We are not allowed to though, because we are pastors, and our angel wings are at the cleaners getting polished for the potluck next week. If I am to be brutally honest, some phrases we hear from our parishioners sound like a broken record. I may be out of bounds, and presumptuous by thinking I can speak for all pastors, but I know I can safely speak for many. 2. Children are the church of tomorrow- False. Just because they are not good tithers, doesn’t mean they can’t impact the kingdom like anyone else. Children are the church of right now, and should be incorporated into every part of the church body that their abilities can handle. 5. Remember when...- It is sometimes a lot of fun to reminisce about things from the past. We only get tired of hearing this when it stands in the way of reaching more people. Remember, what brought us here will not necessarily get us there…I can admit, though, that it is easy to sometimes “throw the baby out with the bath water” and overlook the fact that there are some things we used to do that may work now. 6. I’m only human– Ok…excellent. Now you can sin all you want. Whew… NOPE. The fact is, you are not only human. If you know Christ, and desire to grow in Him, within you dwells a divine substance. The Christian life takes work, and thank God for the grace of correction. This was great. I actually expected something totally different, like criticisms made against pastors and a defense for them. I thought I was going to read a self-pitying blog. This is much better! Thank! Thank you…I appreciate your words of encouragement!